Andrew Weber, assistant secretary for nuclear, chemical and biological defense programs at the Pentagon, plans to leave the agency for the State Department later this month. In his new role, Weber will work with former U.S. Ambassador to India Nancy Powell to coordinate with international partners in containing the Ebola epidemic, the Defense Department said Thursday. Cheryl Pellerin writes that Weber discussed similar coordination between the Organization for the Prohibition of Chemical Weapons and the U.N. and advanced planning between the U.S. National Security Council and its Russian counterpart to remove and destroy chemical agents in Syria. “[We] learned the value of working with multilateral organizations, working with international partners to solve a problem,” Weber told reporters during a recent roundtable discussion at the Pentagon. Officials expect his upcoming involvement with the State Department’s Ebola Coordination Unit to boost U.S. response to prevent the spread of Ebola. 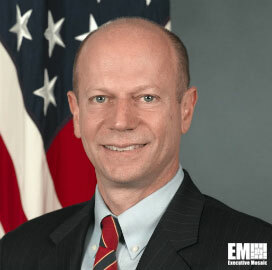 At DoD, Weber advised the secretary and deputy secretary of defense and the undersecretary of defense for acquisition, technology and logistics on defense programs related to weapons of mass destruction. He also oversaw the U.S. Nuclear Weapons Council, Defense Threat Reduction Agency and the Nunn-Lugar Cooperative Threat Reduction Program. He previously led efforts to destroy Libya’s chemical weapons stockpile and participated in similar programs in Kazakhstan, Georgia and Moldova.